Let's take a look at Integers! 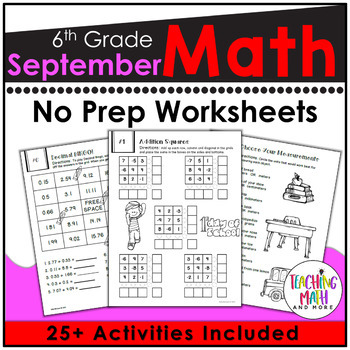 This is always a fun Math topic at the beginning of the school year to teach sixth graders. Students always come in with the prior knowledge of basic addition and subtraction, but may never have heard of a negative number. 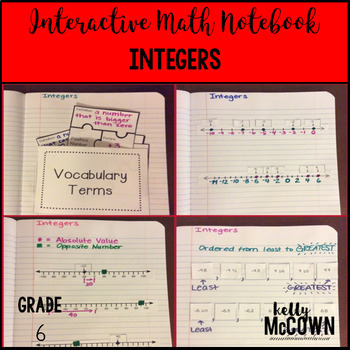 Establishing the basic vocabulary of integers is key in understanding how to make connections of negative and positive integers. 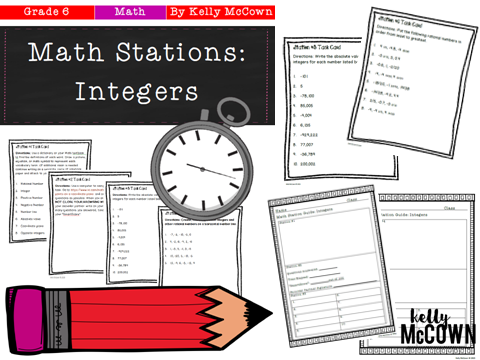 Included in the Math Stations: Integers packet for sixth graders are some basic activities to practice making connections and developing concepts of Integers. Here are some other fun Integer activities for sixth graders to practice, apply, and get engaged in. I hope these activities help you to get some ideas about engaging your students in Integers. At the beginning of the year it's all about the "HOOK". Can you engage your students and get them excited about you and learning in your classroom? These resources can become great tools for your classroom in engaging students in being active participants in the learning process.